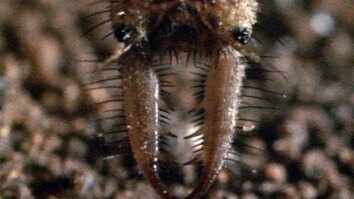 April 12, 2017 - Watch never before seen footage of soldier ants saving their wounded comrades from the battlefield. 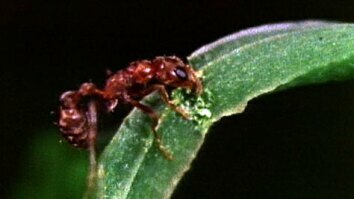 Megaponera analis, a small black ant species native to sub-Saharan Africa, wages war on termite nests. Attacking ants can have limbs ripped off or even be decapitated by the termites. Instead of leaving the hurt ants behind, other ants will carry them back home where they can heal and participate again in future raids. Scientists estimate that this strategy can result in colonies that are about 30 percent bigger than those ant species that don't rescue their injured. Click here to read more about the "paramedic" ants.